Based on a vintage timepiece made for Swissair pilots in the fifties, the Twenty-Four Hours Single Push-Piece Chronograph combines both a 24 hour dial and a monopusher chronograph function, for an unusual vintage-style pilot’s timepiece. In the Longines museum sits an oversized watch created for the navigators of Swissair in the fifties. 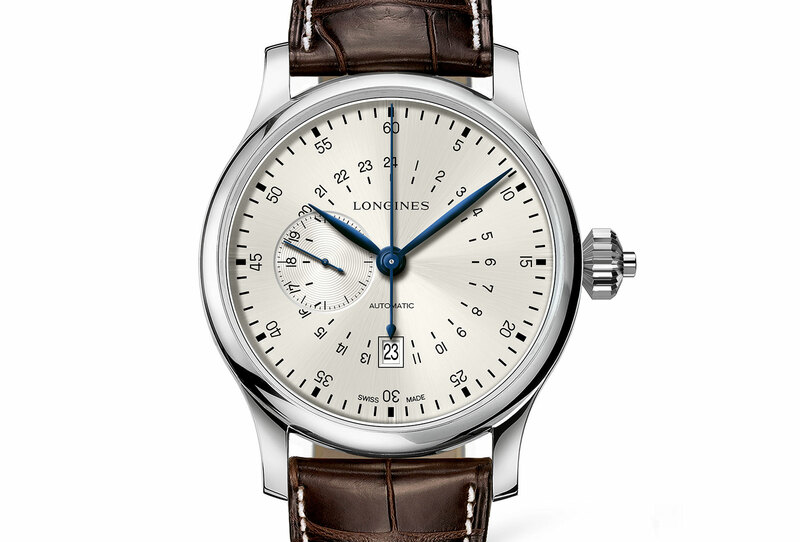 Featuring an unusual 24 hour dial, only a few dozen were made, but Longines created a reissue in 2011. Now Longines has combined that distinctive dial with its single button chronograph movement in the Twenty-Four Hours Single Push-Piece Chronograph. 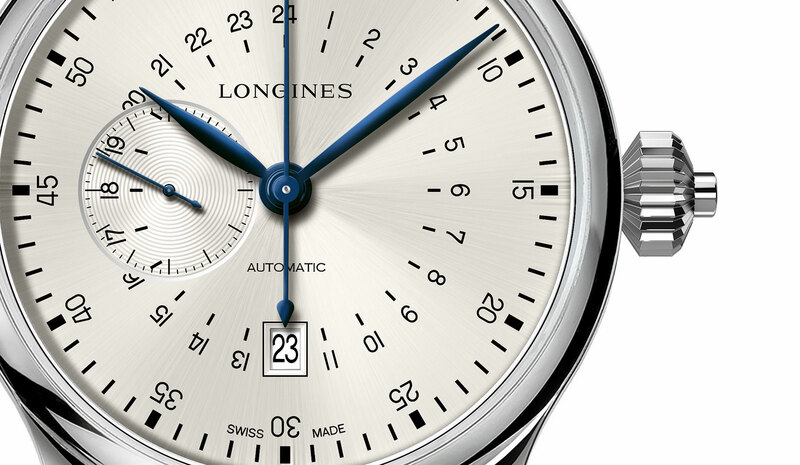 Longines excels at affordable, attractive vintage-inspired timepieces, and this is yet another. With the same 47.5 mm diameter as the original Swissair watch, the chronograph has a 24 hour dial, available in silver or black. 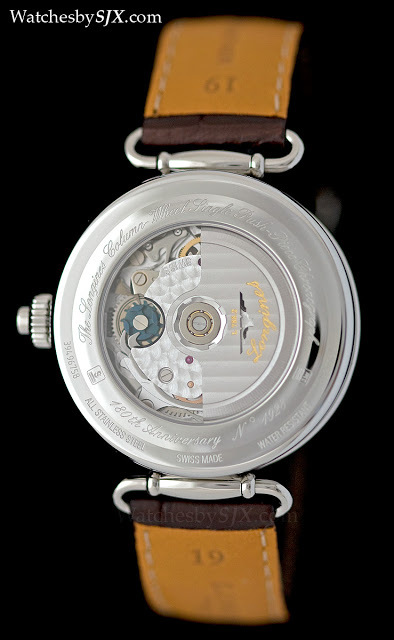 Hidden inside – the case back is solid – is the L789 movement, based on the Valjoux 7750 but modified for the 24 hour time display and one-button operation, plus the addition of a column wheel instead of the less sophisticated cam usually in the movement. 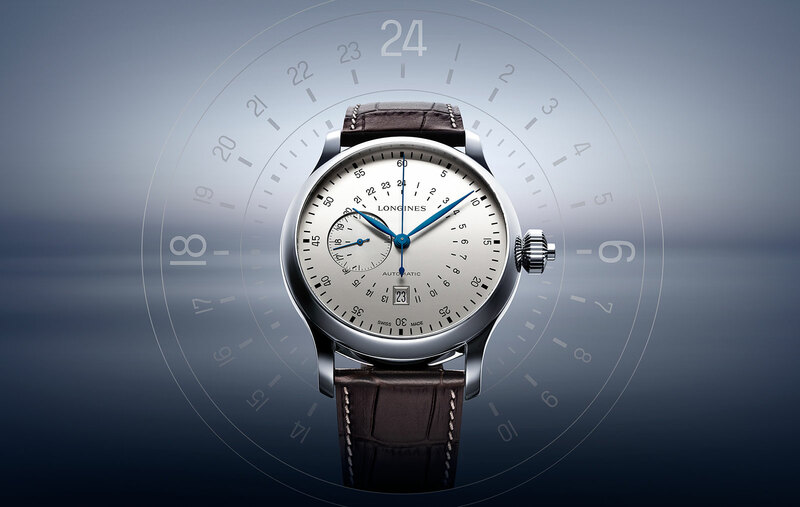 However, the Swissair navigator’s wristwatch was not a chronograph, so this is not a remake but a vintage Despite its historical inaccuracy, the new chronograph looks vintage enough, save for the date window at six at afflicts all of Longines’ reissue watches, including the most recent Heritage 1935. As is typical of Longines, the Twenty-Four Hours Single Push-Piece Chronograph is modestly priced, with a retail of US$4800.